Prominent & Leading Wholesale Supplier from Rajkot, we offer water purifier. 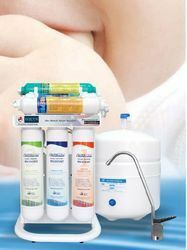 Owing to the presence of expert engineers, we have been able to offer a high-quality Water Purifier. 8-stage, sediment, gac carbon, ctd carbon, tfc membrane, post-carbon mineral,far-infrared, alkaline.